In her speech, the Minister identified three “pillars” that will define her vision for Canada’s creative industries going forward: investing in Canadian creators and cultural entrepreneurs, promoting the discovery and distribution of content at home and globally, and working to strengthen public broadcasting and support for local news and information, including magazines. Canadian magazines promote social cohesion, and are an important economic sector that contributes to Canada’s competitiveness. Canada’s nearly 2,700 business-to-business, consumer and cultural magazines contribute approximately $1.7 billion to Canada’s GDP. Canadian magazines are produced in every province and territory across the country, and are published in 34 different languages. 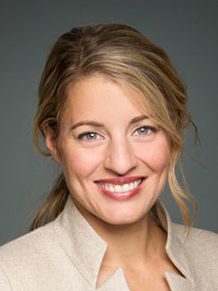 In her speech, Minister Joly signalled that the federal government recognizes the important role Canadian magazines play, both culturally and economically, and that Canadian Heritage officials will pursue their work to review and modernize the Canada Periodical Fund, all the while continuing to support the Canadian magazine sector. The federal government’s support for the magazine sector pre-dates Confederation, and was established to ensure Canadians could enjoy equal access to the information and stories that tie us together as a nation. The Canada Periodical Fund supports access to a rich diversity of Canadian storytelling and art, journalism, and trade intelligence critical to Canada’s social, business and creative fabric. Federal funding and policy support also ensures the advancement of both digital and print distribution channels that reach Canadian and international audiences and enhance Canadian magazines’ competitiveness in a borderless world.